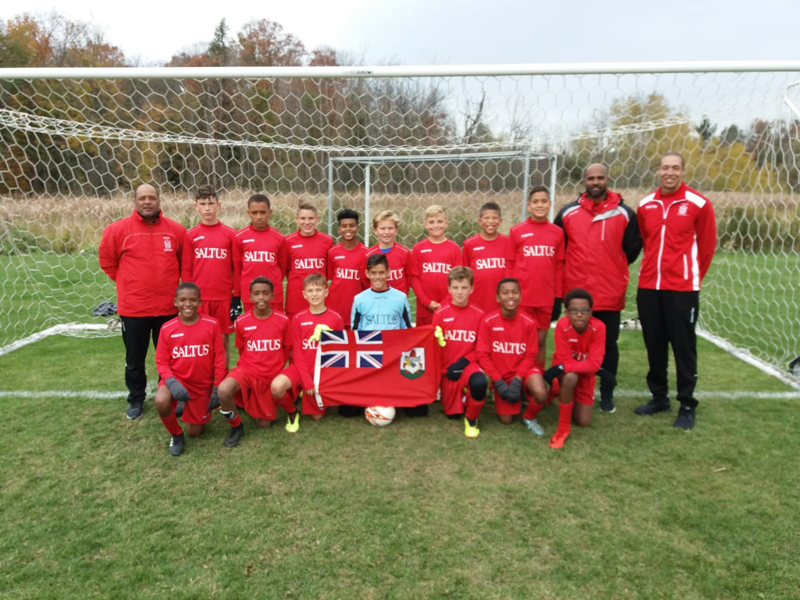 The Saltus Grammar School U13 boys continued play in the Canadian Association of Independent Schools football championships in Ontario, Canada. In yesterday’s Championship Division matches Saltus continued their unbeaten streak with 3 victories to advance to the semi-finals on Saturday. In the opening group match up, Saltus edged by Collingwood School 1-0 in a hard fought game. Joao De Sa played Keiron Bean through to goal with a defense splitting pass for Saltus to take a 1-0 first half lead. Nathaniel Swan maintained his third consecutive clean sheet in goal for Saltus as the match ended without any additional goals scored. The second match of the day saw Saltus compete against Sterling Hall School, cruising to a 3-0 victory. Essien Binns, Joao De Sa and Keiron Bean each increased their goal tallies for the tournament with single strikes in the first half. Saltus had numerous chances to increase the scoring in the second half but failed to covert on good opportunities. The final group match saw Saltus Grammar School and St. George’s School, both who had already qualified for the semi-finals, battling for the top seed from the group. 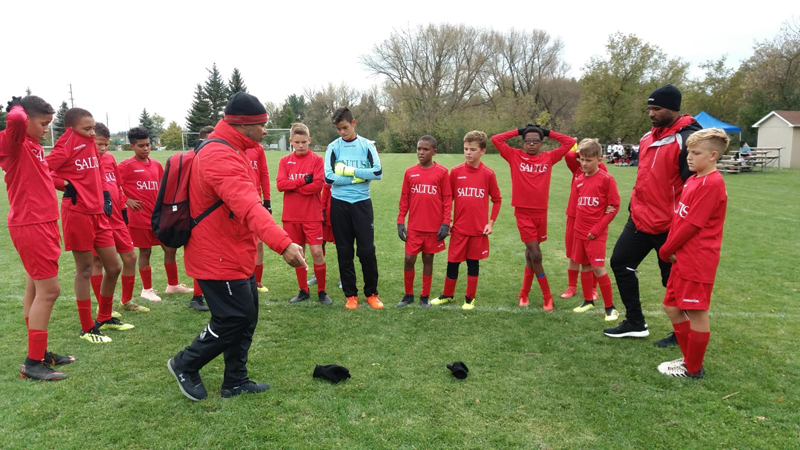 Saltus would score from the penalty spot in the first half after Joao De Sa was taken down in the box following a surging run past the defense on the right side. Joao would convert the spot kick himself for the only score in a tightly contested match. Saltus will face a rematch with Upper Canada College in the semi-final at 8:30 am on Saturday. The teams played to a 1-1 tie in the opening group match of the qualifying round of the tournament. The winner will advance to the final at 12:30 pm, to face the winner of the other semi-final between West Point Grey Academy and St. George’s School.